Take a look at the time-lapse video footage of the Landscape Ontario: Green For Life booth build at Canada Blooms 2010 which took place during March break. We were one of the 40+ companies that volunteered our time to build this dream garden. We completed projects on 2 episodes of the inaugural season of Holmes Inspection. “Troubled Waters” – Poor grading and drainage was resulting in a leaks into the basement. 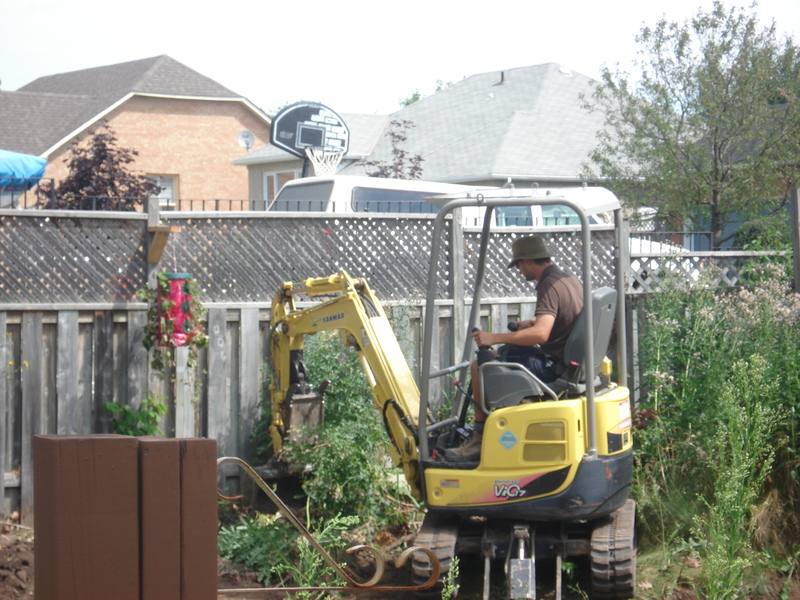 We rectified the problem with a series of Celtik Wall retaining walls and a properly graded patio and walkway. “Watch Your Step” – A poorly constructed staircase was not to code and didn’t take long to disassemble. It was replaced by a more drawn out entraceway, finished off with a flagstone covering on the porch. The natural stone and textured pavers accentuated the front of the house well. Structurally we went way beyond code by using an Ultrabase foundation, supported by a lintle attached to the house and backfilled the entire staircase in concrete. The steps are now as permanent as their house foundation and dynamite will be needed to remove it.